The League One Play-Off Final at Wembley will see referee Robert Jones from Merseyside in the middle. After refereeing for two years in the National League – and the Women’s Super League One – the beginning of the 2016/17 season saw Robert promoted to the SkyBet Football League. Robert was last in charge of the Millers in January when Portsmouth were the visitors to the New York Stadium which saw a goal in the last minute of the game from Joe Mattock gave the hosts all three points. Josh Emmanuel was the only player yellow carded during the afternoon. Of the forty-four games Robert has been in charge of this season he has shown one hundred and twenty-nine yellow cards and eight red cards. 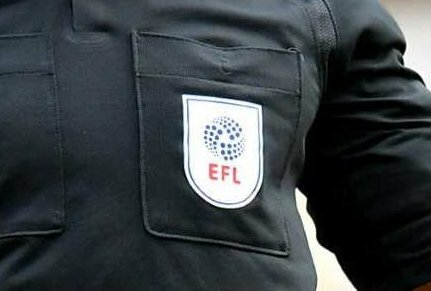 Neil Davies from London and Dan Robathan from Bedfordshire will be running the Wembley lines while Scott Duncan, who hails from Northumberland who was in charge of our play-off game with Scunthorpe at the New York Stadium has been named as the Fourth Official with Reserve Assistant Referee being Shaun Hudson who is from Tyne and Wear.